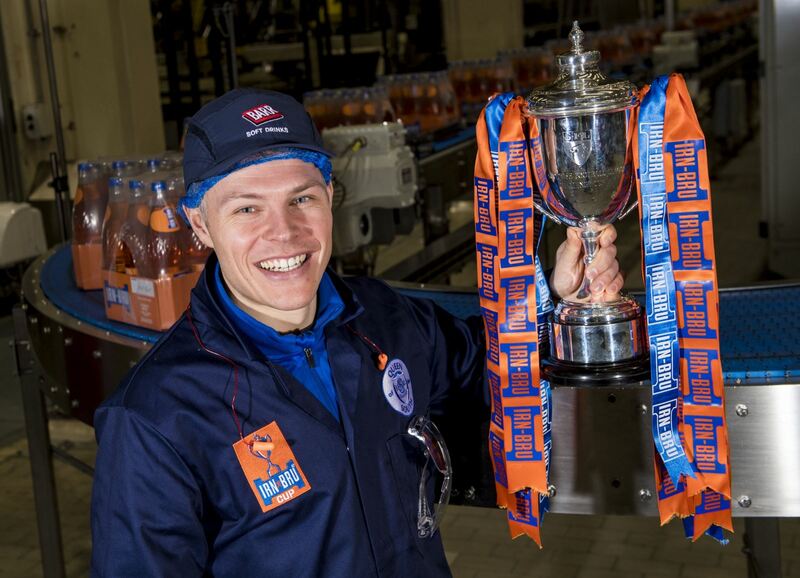 Queens came so close to turning around a three goal interval deficit but ultimately it was the visitors who hung on to be the first team to reach the final of this season`s Irn Bru Challenge cup. 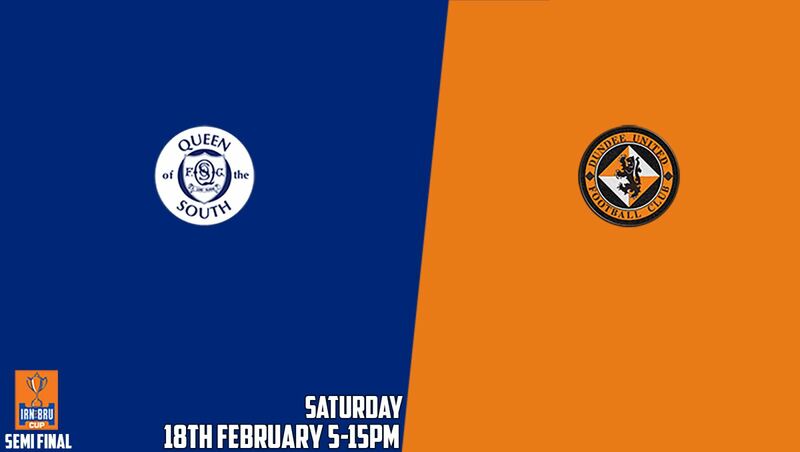 An awful opening 11 minutes saw Queens fall 2 goals behind after defensive errors had given Dundee United a better start than they could have dreamed of, and when the visitors added a third goal ten minutes before the break, it seemed as though the tie was already beyond the hosts. However, boosted by an early goal Queens produced a spirited second half and although in the end it proved to be fruitless, the home support gave their side a good reception at the end of the game to show their appreciation for their efforts. 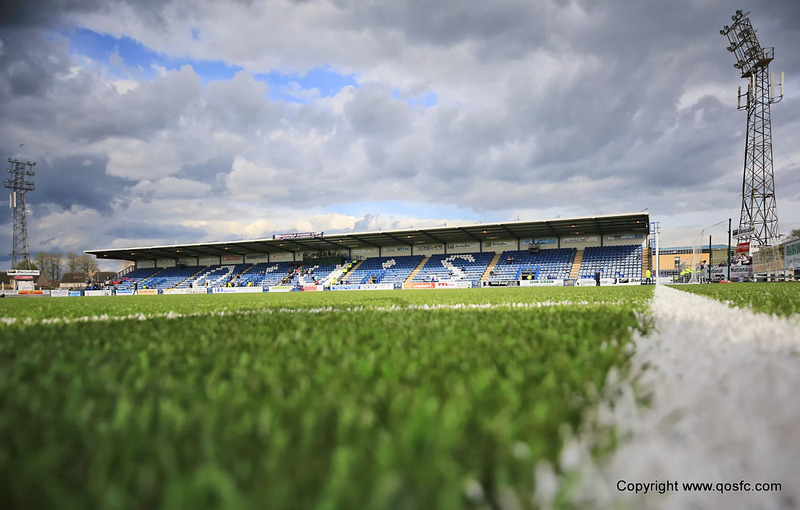 With three players, John Rankin, Scott Mercer, and Joe Thomson, all missing due to being cup tied, Queens were forced into making changes and Andy Dowie, Joe Hamill, and Connor Murray were the players called into the starting line-up, and for young Murray it was his first start for the team. 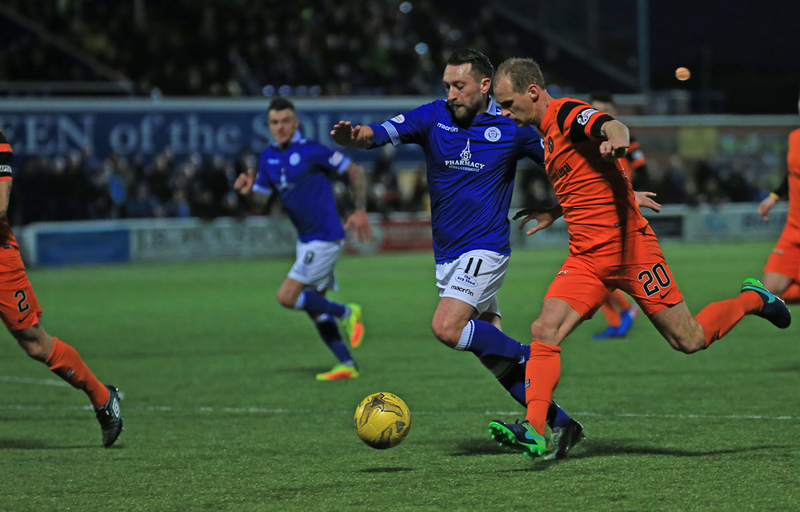 The opening exchanges saw both teams guilty of giving the ball away unnecessarily and although neither side could capitalise, the opening goal of the contest wasn`t far away as Dundee United made the early breakthrough. A cross into the Queens box was headed against Chris Higgins by Andy Dowie and as the ball ran nicely into the path of Telfer he reacted quickly to steer the ball past Lee Robinson from 10-yards out. It was just the start that Queens did not want and before they could get their heads clear and begin to respond, they found themselves further behind. Another cross again from the right, this time by Simon Murray went straight to Dowie but instead of clearing his lines he passed the ball back to Higgins which instantly put him under pressure and when he lost possession and the ball broke to Fraser the initial strike was blocked by Jacobs but Fraser got the break of the ball and calmly fired the rebound past the grounded Robinson. The visitors must have been in dreamland, three half chances and a 2 goal advantage after only 11 minutes of play, but for Queens it had been the worst possible start and the chances of making it through to another Challenge cup final were looking very slim indeed. What little attacking Queens had managed in what had been a disappointing opening spell had involved the inventive play of Dom Thomas, and the on-loan Motherwell man showed some neat footwork to skip past a couple of defenders, but unfortunately his cross was too close to `keeper Zwick who claimed the ball comfortably at his near post. 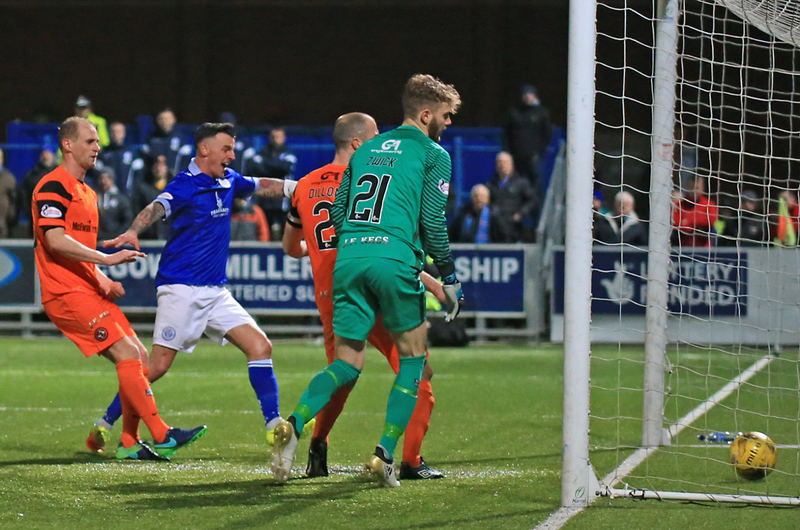 Queens were starting to have more possession and when Jordan Marshall`s cross was cleared out to Stephen Dobbie, Queens` leading scorer saw his half volley blocked away for a corner. The resulting set-piece which was taken by Dobbie found Darren Brownlie unmarked at the back post but his close range header went wide of the target. The hosts kept pushing and a neat exchange of passes between Derek Lyle and Dobbie following some good defensive play by Higgins,ended with Dobbie dragging an effort wide of the target. 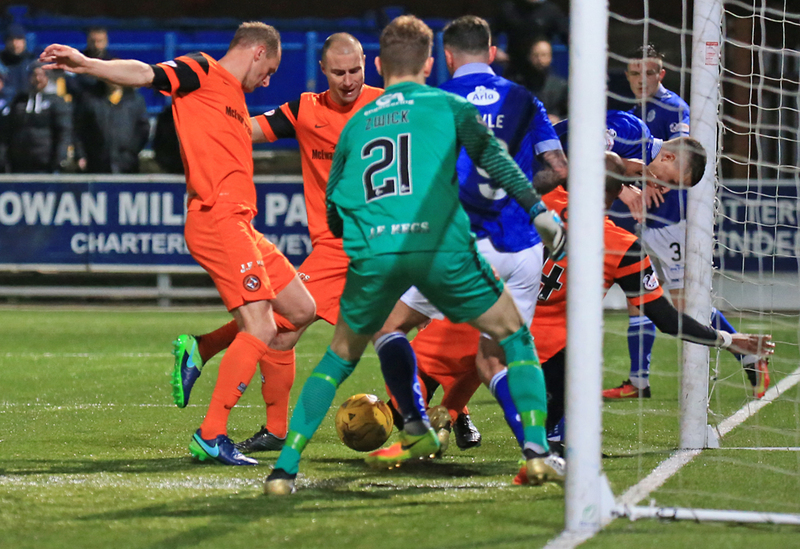 Just as Queens had began to show signs of finding a way back into the game, on 35 minutes Dundee United scored again, and if the first two goals had been gifted to them, this goal was a superbly worked team effort. Beginning with the `keeper, the ball was passed 7 times carving right through the heart of the Queens team before eventually being expertly finished by the impressive Andreu. To be honest the scoreline flattered the visitors, and it was very harsh on Queens, but to their credit the hosts kept on going and moments before the interval, with a bit more luck, they could have reduced the deficit.Stephen Dobbie`s persistence allowed him to get to the byeline and whip in a decent looking cross and when the ball evaded everyone it only needed Derek Lyle to react a bit quicker and he would have been presented with an open goal. As it was Queens left the field at the break somewhat harshly trailing by three goals. 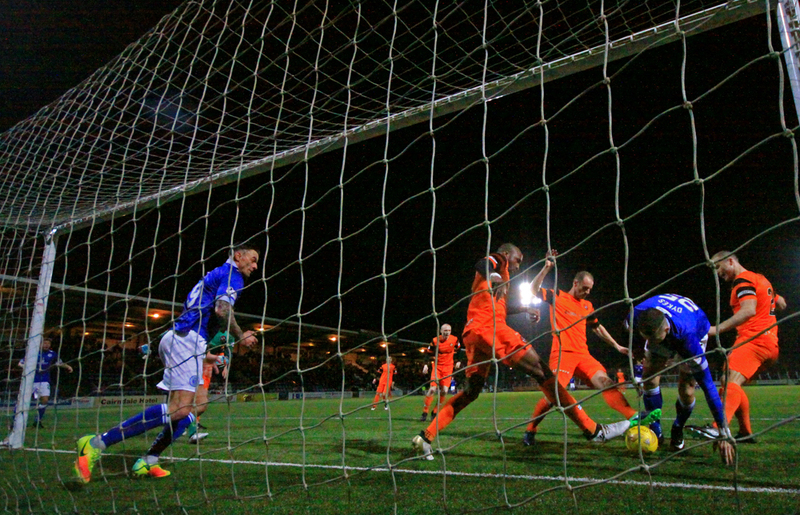 If there was to be a way back into the game for Queens they would have been hoping for a quick reply, but it took some sharp reflexes by Lee Robinson to keep out a stinging drive from Simon Murray at the start of the half to prevent the visitors from going further ahead,and just 6 minutes later, Queens got the goal that they had hoped for. 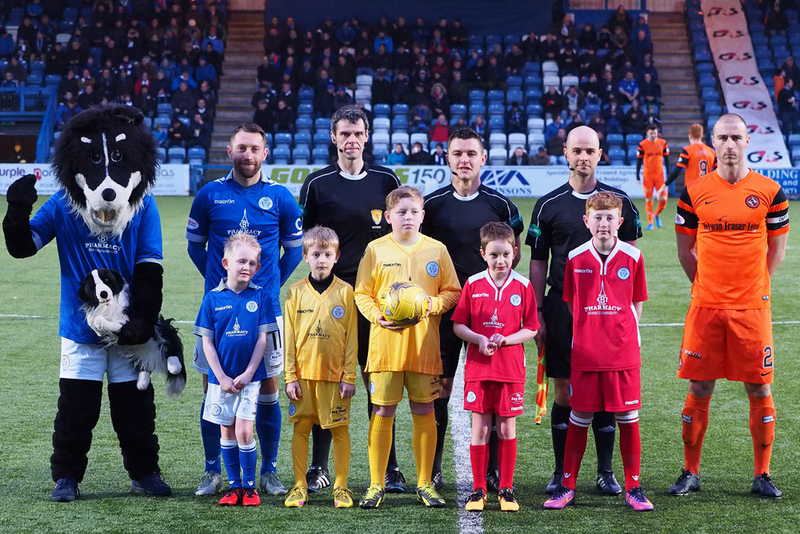 Queens broke on the left and when Connor Murray was able to slip a pass inside to Stephen Dobbie, the Queens striker took one touch to control the ball before smashing a stunning drive beyond `keeper Zwick from just outside the penalty box. The goal certainly breathed more fight into Queens and they went on to create a few half chances as the visitors began to sit deeper. Connor Murray was booked for a foul on Flood in midfield, and moments later the youngster was replaced by Lyndon Dykes who joined Lyle up front with Dobbie moving to take Murray`s place on the left of midfield. Queens were certainly on top and they really should have reduced the arrears even further with their next attack. Jordan Marshall`s strong run took him into the box and his clever pull back picked out Dom Thomas level with the penalty spot and although his shot seemed to be going wide it fell to Dykes almost on the line. His shot was blocked and when the ball rolled out to Dobbie you could just imagine the ball finishing in the net, but somehow from 8-yards out,he blazed the ball high over the bar.It was a big chance for Queens and at that stage of the contest it would have been fully justified had they equalised. Their tails were up and the impressive Thomas drew an awkward looking save from Zwick as Queens continued to be the dominant team. The away side had hardly managed to trouble Robinson in the second period, and following a rare break away they won a corner and although Edjenguele got his head to the ball, once again Robinson was unconcerned. Danny Carmichael replaced Hamill for the final five minutes, and moments later he helped to set up a grandstand finish when Queens scored again. A long ball forward by Dowie was headed out by Edjenguele but only to Carmichael. His pass inside found Dykes who in turn found Thomas on the right. 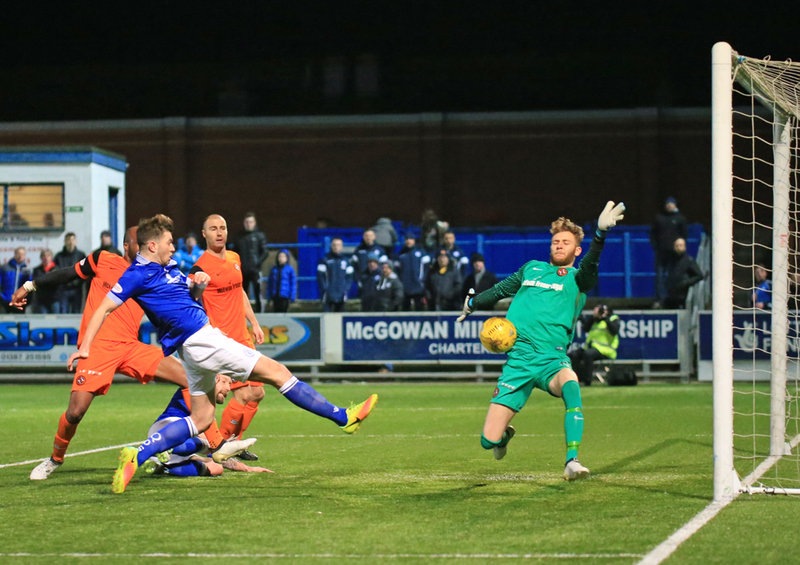 Thomas` flicked ball across was met by Derek Lyle who stabbed the ball home from close range.The goal was Lyle`s 12th of the season scored on the day he made his 250th start for the club. The board for injury time had already been shown and although 4 had been signalled, the visitors were able to wind the clock down successfully as well as limiting Queens to just one final half chance which eventually petered out. So it ended with victory to the visitors and with the Queens fans in the crowd of 1526 thinking about what might have been. Queens had their chances but in the end were not able to convert enough of them to make the difference. 1 min Dobbie wins the ball and the ball rolls out for a corner. 4 min After a poor clearance the ball falls to Telfer and he slots home to give the visitors an early lead. 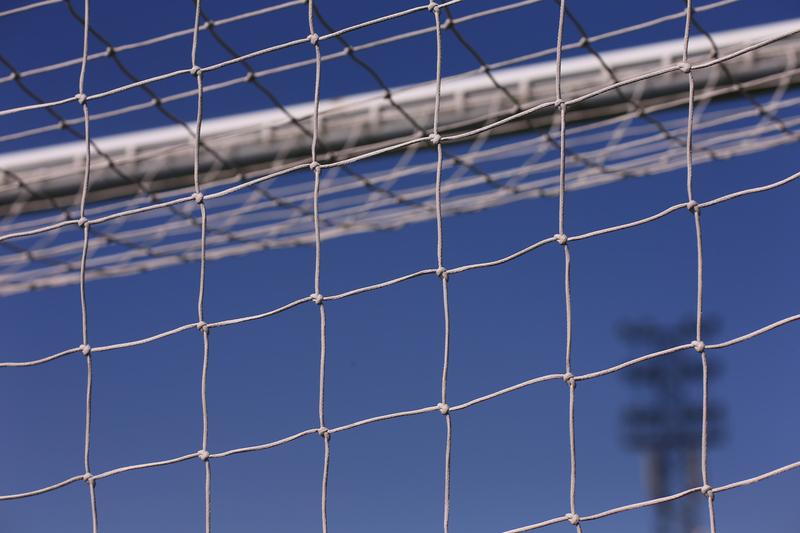 6 min Dobbie`s shot is deflected out for a corner. Brownlie` header from the edge of the box floats over the bar. 12 min Poor defending from Queens ends with Fraser doubling Uniteds` advantage. 14 min Thomas beats two defenders but his shot is straight at Zwick. 16 min Marshall`s cross finds Dobbie and his effort is deflected out. The following corner finds Brownlie but his header flashes wide. 21 min Andreu blasts a free-kick over the bar. Still 0-2. 22 min Thomas` cross is hit out for a corner. 23 min Thomas` ball in finds Dobbie but he can`t get a clean connection with his headers and glances wide of the goal. 26 min A nice one-two by Dobbie and Lyle ends with Dobbie firing a shot inches wide of the post. 36 min Murray knocks the ball back to Andreu who hits a superb shot into the top corner of the net. 0-3. 39 min Dobbie`s excellent cross only needs a touch to go in but Lyle couldn`t get there in time. 40 min Jacobs effort is always rising and goes over the bar. 46 min Robinson tips over a long-range Murray effort. 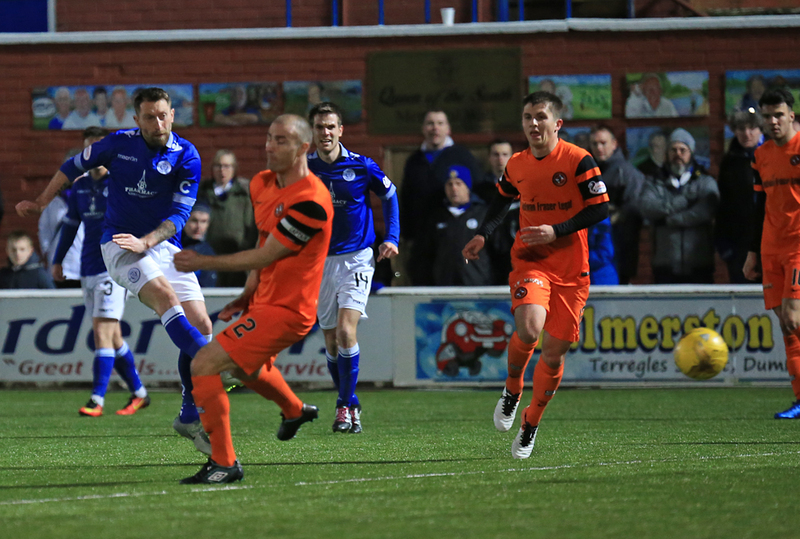 51 min Queens pull one back through a fantastic low strike from Stephen Dobbie. 52 min Superb strike from Dobbie, game back on here! 1-3. 56 min Murray cautioned for a pull back on Flood. 61 min Queens should`ve closed the gap. Marshall does well to get a cross into the box, the ball is scrambled in the box and Dobbie fires over. 65 min Thomas` long range effort is unconvincingly saved by Zwick. 69 min Zwick makes a superb save to deny Brownlie. 78 min A Dillon mistake lets in Lyle, his shot is deflected out for a corner. 84 min Robinson pulls off a superb double save to deny Fraser. 86 min A Thomas free-kick from the right flashes inches wide. 90 min Four minutes of added on time here. 90+1 min Lyle bundles the ball home from close range. One more to find to force extra time. 90+3 min Dobbies long range shot is blocked.